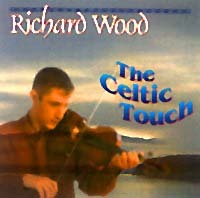 " The Celtic Touch" is a combination of traditional fiddle tunes and a number of compositions I wrote a few years earlier. 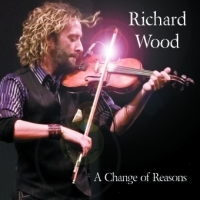 I was inspired to compose the title track while in Scotland, traveling through the countryside." This album is living proof of the revival of Celtic music. Anyone who has seen Richard perform knows his foot. Holding the fiddle body and bow almost vertical, his upper body melts into the instrument while his step dancer legs pound out the Rodham. The Celtic touch album has been referred to as "a highly recommended album" by Gord Fish, Regina, Saskatchewan. Photography by - Wayne Barrett, New Haven, P.E.I. "Special thanks to my backup musicians who did a super job on this recording. Doug MacPhee for research. Sincere thanks to Skip & Kimberley Holmes who have assisted on all my albums. To dedicated fans, family and friends for support and encouragement, especially Mom & Dad."